Dirk Daamen is a criminal defense lawyer. 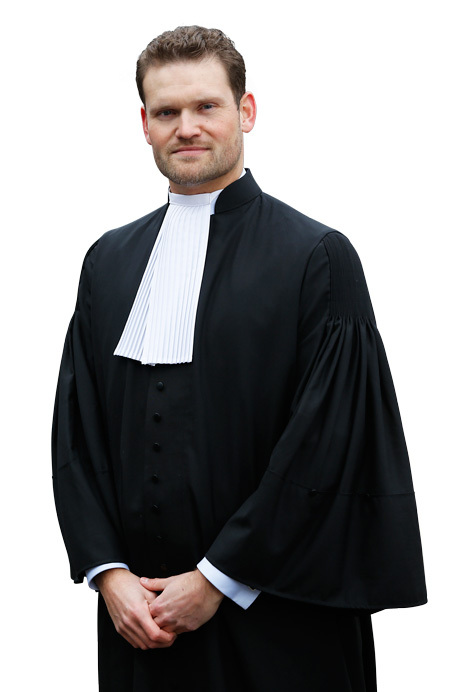 Within criminal law, he is an expert in cassation proceedings. He provides legal assistance throughout the Netherlands and can also help you in English. During and after his studies Daamen worked as a legal assistant for the criminal defense lawyers Serge Weening, Sjoerd van Berge Henegouwen and David Moszkowicz. Working for Moszkowicz Advocaten in Maastricht, he was admitted to the bar in 2007. He continued to work there for almost five years. See the page Work experience. During this period, Daamen focused on criminal cases, including the bigger, complex and controversial ones. Click here for an overview of the various types of procedures in which he gained experience. Dirk studied Dutch law at Maastricht University and graduated in 2007 in criminal law and in European law and language studies. He also studied in Italy for a year. In 2015, Dirk completed the Specialisation Criminal Law Programme at the Willem Pompe Institute, therefore he may call himself a criminal law specialist. Read more about this on the page Education. Dirk Daamen is a member of the Association of Criminal Cassation Lawyers (VCAS), the Dutch Association of Defence Counsel (NVSA), the European Criminal Bar Association (ECBA), the Dutch Association of Youth Law Lawyers (VNJA) and the Maastricht Criminologists Club. He is also one of the initiators of the Criminal Law Working Group, affiliated to the Association of Young Lawyers of Maastricht. This working group meets monthly to discuss the latest developments in the field of criminal law. Because he also provides legal assistance to prisoners undergoing life imprisonment, Daamen has joined the ‘Forum Levenslang’ (Life imprisonment Forum). Click here for an overview of Dirk’s published case law (in Dutch). Daamen also publishes in scientific books and legal journals once in a while. More about this on the page Publications (in Dutch). Here you can find an overview (in Dutch) of Daamen’s cases that have had attention in the media. Thanks to his passion for languages, Daamen is fluent in English, Italian, Spanish, German and French. After more than fifteen years in the south of the Netherlands, he also speaks quite a bit of the Maastricht dialect.